Schulze is living proof that it really is possible to change both your body and your life. A “chubby” kid inspired by men’s fitness magazines and adolescent hormones, Dave set about transformation with a simple daily routine of a stationary bike, sit-ups, and push-ups. He overshot the mark a little, becoming what he describes as a “freakishly skinny” teenager. Then, he developed a balanced, healthy physique when he started weightlifting with friends in college. He also discovered he loved everything about the process. He accumulated the equivalent of a Minor in Kinesiology and Nutrition and made exercise daily part of his life, but fitness remained a hobby. Years into a successful career as a software engineer, Dave realized that while his fellow coders were happily taking their work home with them, he was spending all his free time learning more about fitness. In 2004, he decided it was time for a change. He went back to school and acquired his Personal Trainer Certification. 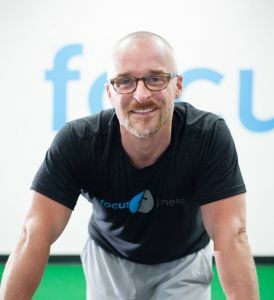 By 2006, he moved into coaching full time, working at Body Business and Pure Austin Fitness in Austin before opening his own facility in 2014. He remains fascinated by this constantly evolving field, happily bringing his work home with him and investing hundreds of hours in continuing education, travel, and study with his coaches.